Great sunny 3rd floor corner unit in an active building. Beautiful new kitchen and appliances last year. Twin Murphy beds in guest bedroom allows room for built in desk and drawers. Enjoy the Countryside community which offers a year old Wellness Center, including a 2300 sf fitness center with all new equipment, classes, top of the line locker rooms along with meeting and card/game rooms. 4 new lighted tennis courts and 2 bocce courts are right across the street. The clubhouse has a restaurant and bar with a great view of the golf course and the community beyond. Complete golf course renovation scheduled for fall completion. All this and the club is debt free! 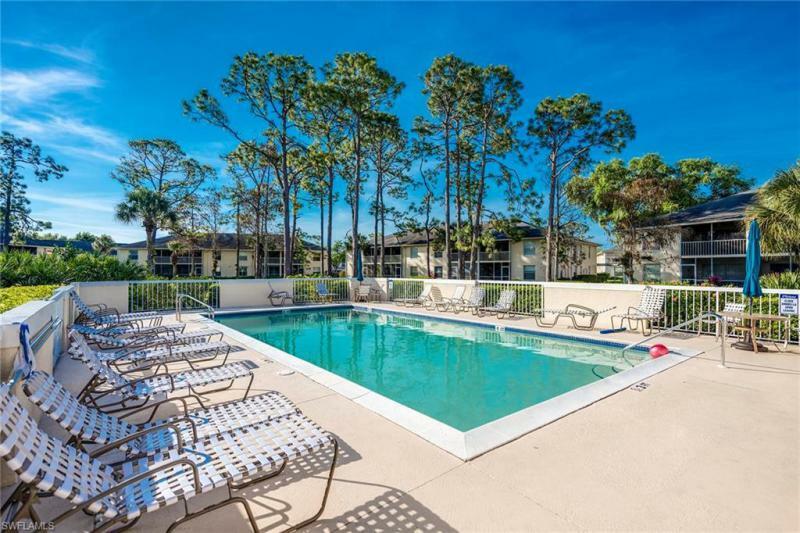 I would like more information about 7240 Coventry CT 321 Naples, FL 34104 MLS #219021517.